Eyebrow Powder Kit to Style Brows. Fills and Fixes with Powder. Duo compact with double-sided brush & mascara style grooming brush, apply to eyebrows as per instructions on packaging. AQUA/WATER/EAU, ALCOHOL DENAT., CARBOMER, PROPYLENE GLYCOL, PHENOXYETHANOL, POLYVINYL ALCOHOL, SODIUM HYDROXIDE, ETHYLHEXYLGLYCERIN, TOCOPHEROL. POLYBUTENE, ETHYLHEXYL PALMITATE, CERA ALBA/BEESWAX/CIRE D'ABEILLE, CAPRYLIC/CAPRIC TRIGLYCERIDE, CERA MICROCRISTALLINA/MICROCRYSTALLINE WAX/CIRE MICROCRISTALLINE, COPERNICIA CERIFERA CERA/COPERNICIA CERIFERA (CARNAUBA) WAX/CIRE DE CARNAUBA, TALC, MICA, SILICA DIMETHYL SILYLATE, PHENOXYETHANOL, CAPRYLYL GLYCOL, TOCOPHERYL ACETATE, ALUMINA, GLYCERIN. [May Contain/Peut Contenir/+/-: IRON OXIDES (CI 77491, CI 77492, CI 77499), TITANIUM DIOXIDE (CI 77891). 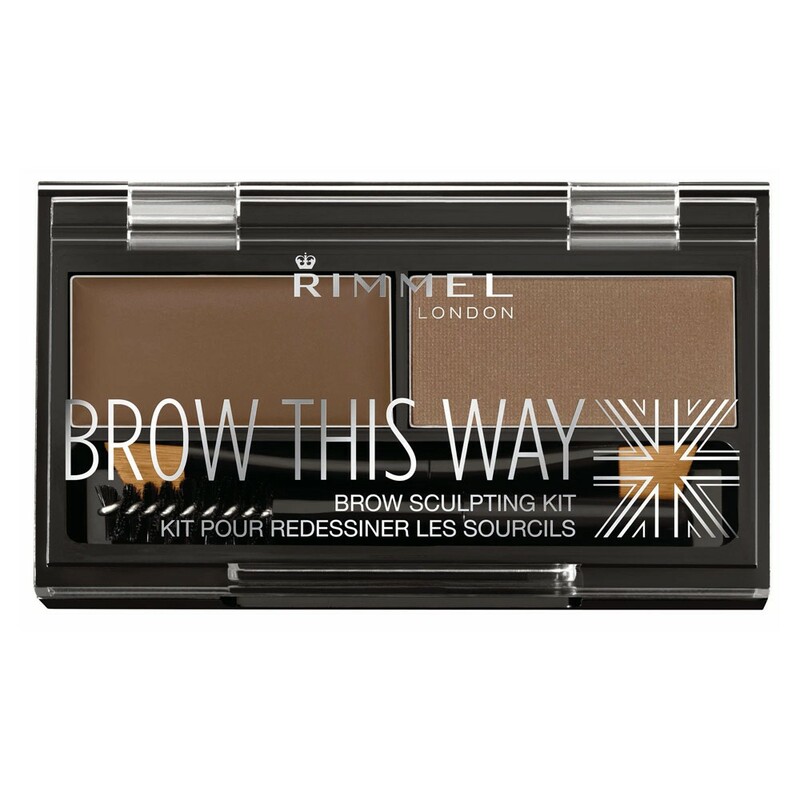 The pomade is great for outlining and practising your brow game. The powder is great and the brush while being slightly small works well. The spooly part has a great texture and blends the product well.